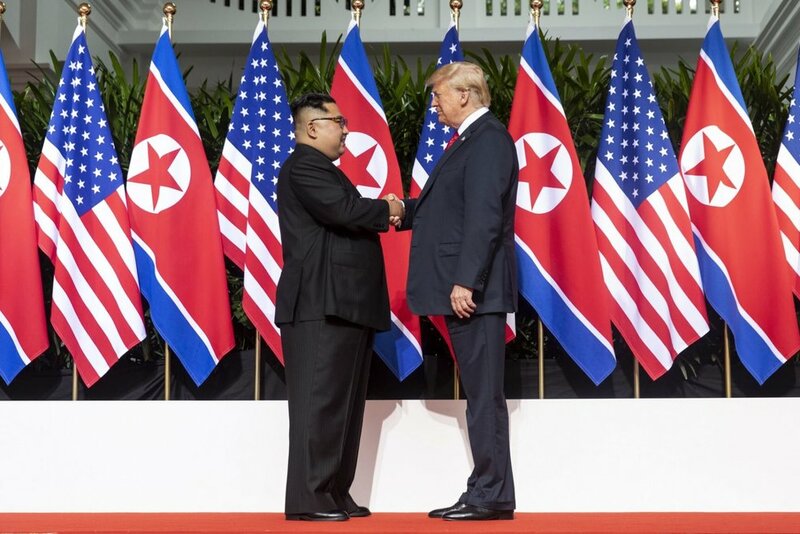 For me, the lingering question about the Singapore summit has nothing to do with 'did Trump give up too much? ', or 'what are the details? ', or 'what is the timeline'? No, no, no. I'm interested in the four-minute video that Trump showed Kim on an iPad, showing what North Korea can be if it will allow itself to be integrated into the world community. In some quarters, the White House is being derided for use of that video, as if it's an elevator pitch, like Trump trying to sell Kim on a timeshare in Phoenix. To be honest, that was my first reaction. But when I looked at it a second time, what stood out to me was, wait for it- the basketball dunk. In the midst of all of this footage showing progress in North Korea- trains, buildings, and medical advancements- is the dunk of a basketball. The video represents a story about a special moment in time when a man is presented with a chance that may never be repeated. In other words, is it possible that this was not some slap-dash production, but rather, was the result of thought and deliberation as to, how we, on the basis of some psychological profile, reach Chairman Kim. Is this more sophisticated than we might think at first blush? Watch former U.S. Diplomat Dr. Ken Dekleva and I go back and forth on this question. Social Security is drying up. Here's how we fix it.